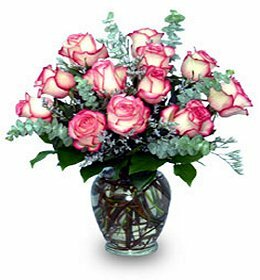 Loretta’s Flower World Ltd. is a high-quality, family owned and operated florist proudly serving the Gander, Newfoundland area for 15 years. Our well-trained staff is ready to assist you with placing orders for local delivery or anywhere in the world. Not sure what to send? We'll gladly help you with creative suggestions. Our talented design team will dazzle you with their creative, eye-catching floral arrangements. Choose something time-honored and traditional or a design that’s more high-style and contemporary like the trendy urn arrangements that have become our specialty. Wedding & Special Event Flowers ~ With Loretta’s Flower World Ltd. designing your beautiful bouquets and floral arrangements, the special day is sure to be a “blooming” success!! Call us in advance and make your appointment for a consultation with a designer or event coordinator. 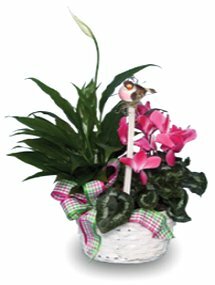 All Occasion Gifts ~ Loretta’s Flower World Ltd. has the perfect gift for a birthday, speedy recovery, congratulations, anniversary or just because. Browse our European dish gardens and planter baskets for a gift that adds life to any room or office. We also carry a variety of other gifts, including decorative silk arrangements, cuddly plush toys and stuffed animals, delicious fresh fruit baskets and more! Loretta’s Flower World Ltd. is open to serve your floral and gift giving needs: Monday through Saturday 8:30 am to 5:00 pm. For your convenience, we deliver to all local funeral homes and hospitals. Call direct at 709-256-2266 for In-town Delivery Fee ~ Only $7.00.